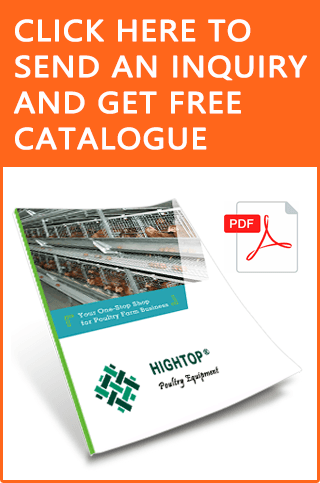 To ensure maximum production and quality from your chicken poultry, let’s go through an expert guide from HIGHTOP Chicken Cage on Taking care of poultry chicken, adopting a chicken and backyard chicken. Chickens are energetic, inquisitive, and friendly animals who are a joy to watch, but the decision to keep them should not be made lightly. Chickens require dedicated, consistent care and there are important issues to consider before acquiring a backyard flock. Two types of chicken rearing are available on general purpose of business. One is backyard chicken rearing and another is vast poultry farming. 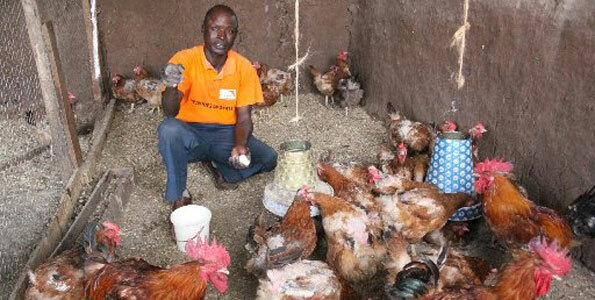 For poultry farming, you need to be precised and more strategic with a handful of efforts and approaches. Afterwards, we have discussed in details on poultry farming in this blog. Also, you can visit Hightop Chicken Cage website where you will find complete guideline and business deals and consultations from experts. Also they have a series production of top quality HIGHTOP chicken cages for poultry farming which is personally recommended for startup business on poultry farming. On the other hand, Many municipalities prohibit residents from having backyard chickens. Be sure to contact local authorities (such as your local animal control or zoning/planning departments) to ensure such animals are legal before you bring any chickens home. Adult hens can usually be located through your local humane society or animal control. Chickens end up in traditional shelters more often than people realize, and adopting from a shelter is a great way to save a life. You might even ask to be put on a waiting list to be contacted about hens as they come into the shelter. If your local shelter has no chickens available, look to adopt a “retired” hen from a factory farm who now lives at a rescue or sanctuary that adopts these birds out. While not as productive as they were in their prime, many of these chickens still lay multiple eggs per week. Most of these older hens would otherwise end up being killed on the farm or sent to slaughter. You can find a list of adoption agencies near you by visiting sanctuaries or petfinder. Alternatively, you may want to look at flyers posted in your local farm/feed stores, check your newspaper’s classified ads, or even scan websites like craigslist.org to find chickens who need good homes. 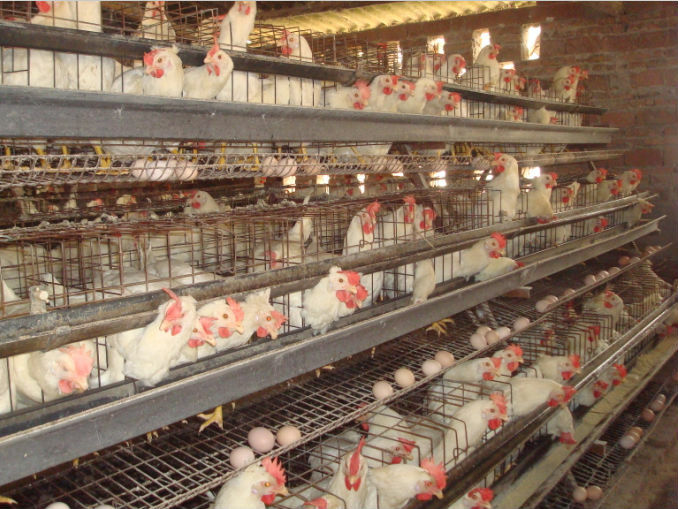 Chicken cages and coops are the place where chicks live as long as farming is concerned. Different types of cages are available for different types of chickens and farming strategies. Like dogs and cats, chickens must have shelter to protect them from temperature extremes. Hens and roosters with large single combs are prone to frostbite in cooler climates, and all chickens need shade during periods of heat. It is important that the shelter is both insulated and well-ventilated. Straw bedding will add comfort and warmth to a shelter’s floor space, but it should be replaced regularly with new, clean straw. Use a efficient cooling system and exhaust support with a poultry exhaust fan for keeping the space dry. Chickens need absolutely secure shelter at night or they can easily fall prey to urban wildlife like raccoons and opossums. Dogs may also attack chickens. They must be completely enclosed in a safe hen house, with four solid walls and a sturdy roof, every night. Predators can also dig under fences and walls, so this should be considered when planning the chickens’ home. During the day, chickens should be kept in a fully-fenced enclosure or yard with proper protection from aerial day-time predators, neighborhood dogs and, in the case of small bantam hens, free-roaming cats. Hens need an enclosed nesting space (a “nestbox”) in which to lay their eggs. They also need an elevated roost on which to perch at night; this is where they prefer to sleep. HIGHTOP chicken cages provide an ample amount of space and proportional allowance of air and light to ensure healthy growth of the chickens inside. For getting more on HIGHTOP chicken cages, you can visit the website. Hens enjoy loose substrate such as dirt, sand, or peat for dust bathing, and they should also have free access to grass and other vegetation to engage in natural pecking, scratching, and foraging behaviors. Often-used areas may become denuded, and it is important to provide plenty of space, giving them as much room as possible to express natural behavior outdoors. Hen houses, coops, and runs must be kept very clean at all times, for the health of the chickens and the food safety of the eggs. To ensure maximum safety and healthy rearing, go through the chicken cages for baby, broiler and battery cage hens. While it may be tempting to think of a backyard flock as a source of inexpensive eggs, hens, like cats and dogs, require periodic veterinary care. Chickens can become ill or get injured, and vet exams and treatment can easily cost over $100 per visit. These expenses should be carefully considered before the decision is made to keep backyard chickens. Not all avian veterinarians are experienced with chickens, so be sure to locate a trusted poultry vet in your area ahead of time. Also, proper manure cleaning and automatic egg collection system will add up to this process. If you spend time watching and interacting with your chickens, you will find that each one has a unique personality, and they are friendly and curious when treated kindly. They display interesting behavior patterns such as dust bathing and foraging, and their complex social interactions are entertaining to observe. Enjoy their antics, and remember that your hens are completely dependent on you for responsible, committed care for their entire lives. For more helps, guidelines and reliable deals on chicken poultry, visit HIGHTOP Chicken Cage and HIGHTOP Chicken Cage Blog.